When Chas Moody read an OBM reader’s letter from Gerry Allen about today’s shiny restored bikes having little resemblance to those used back in the day, he found himself agreeing wholeheartedly with the sentiment, and couldn’t resist sending us these pictures of a Vinnie he used to see parked in a side road off Theobalds Road when he worked in London in 1970. ‘Original’ right down to its seat covering (or lack thereof! 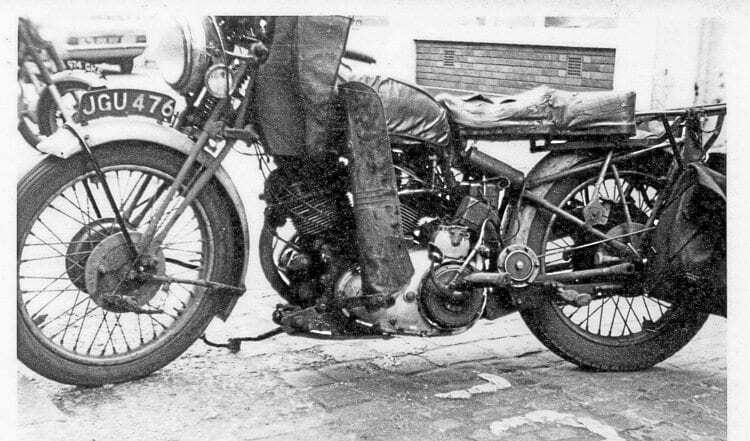 ), this is the truly well-used Vincent that Chas Moody used to see being parked in London’s Theobalds Road in the 1970s. He says that the owner, a large bearded gent in a full-length leather coat, used to pull up, flip the side stand down and step off the machine in one co-ordinated action, walking away without a backward glance at the bike as it ticked over, wheezily using up the petrol that remained in the float chambers. Previous Post:When those carbide lights flickered out, there was still one potent solution left! Next Post:A passion for the unattainable?